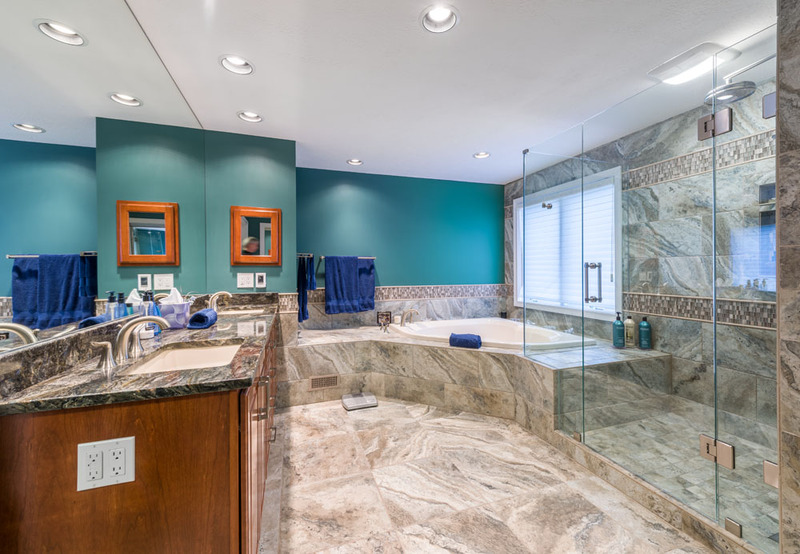 The clients' master bathroom general layout remained the same. 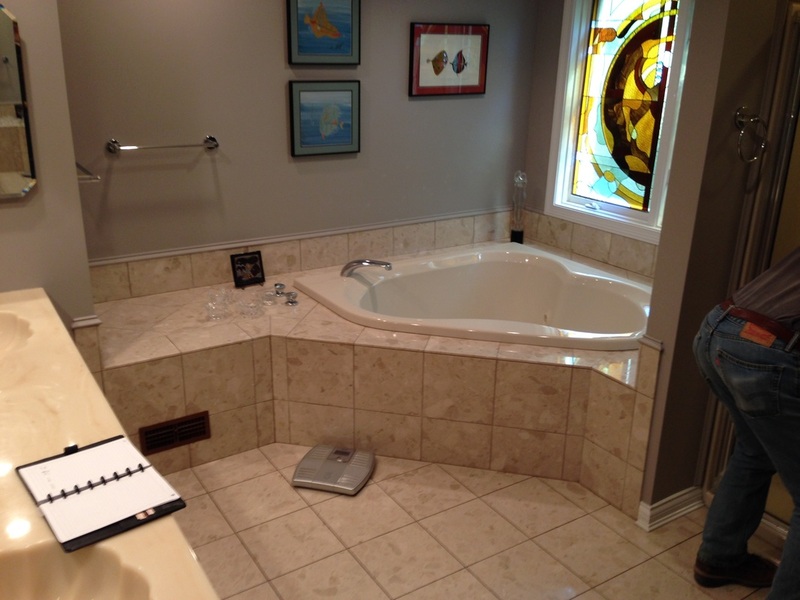 The floor and tub deck were raised 1 ¼” to bring them back to level from structural settling. 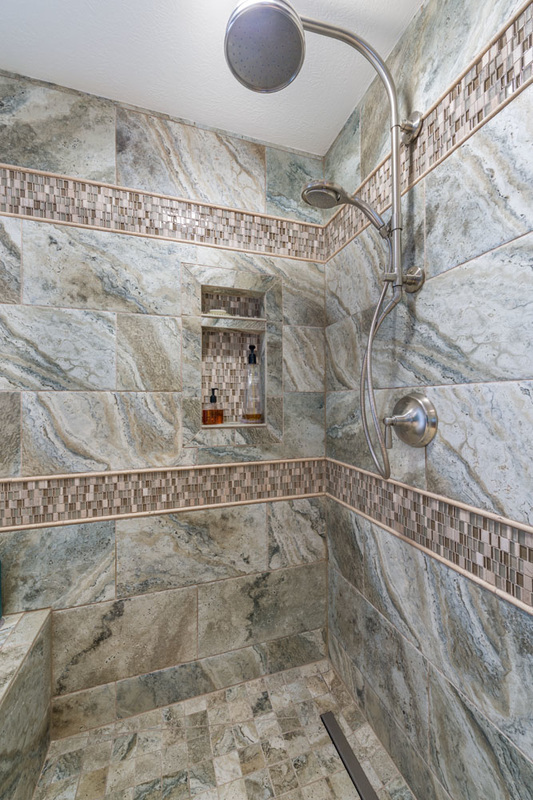 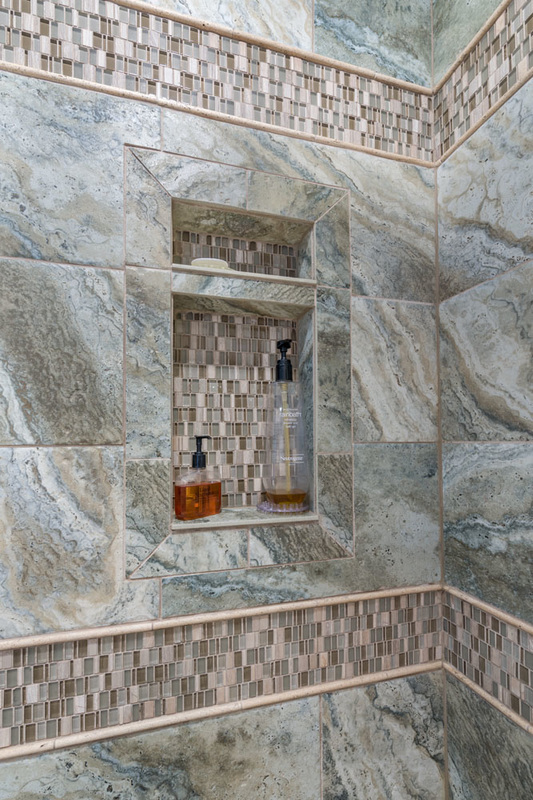 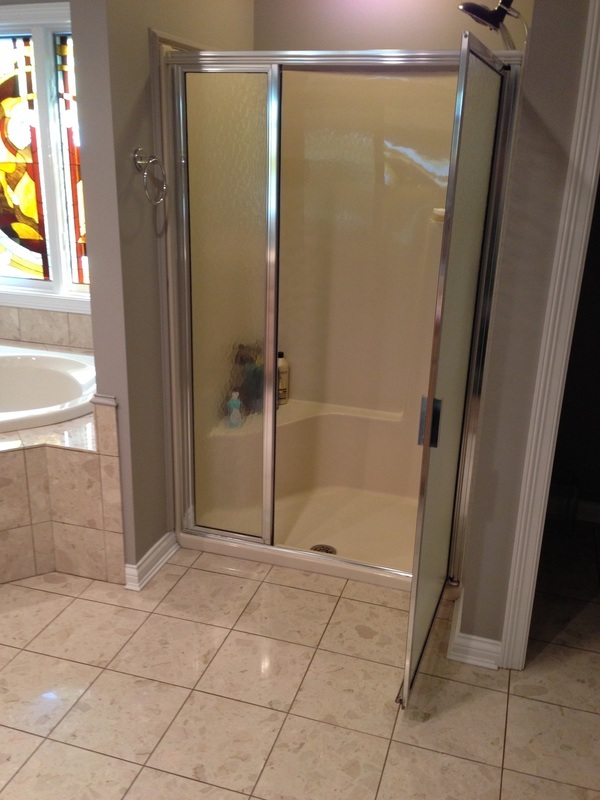 The renovation included a heated floor, new tile, base cabinets, counter top, enlarged shower with bench and custom niche and shower glass. 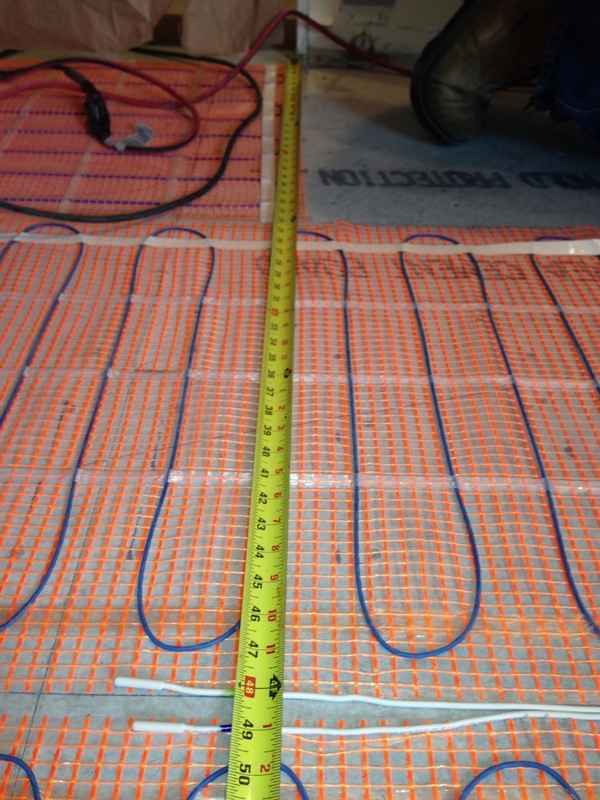 Heating elements and sensors are documented before the tile is installed.